The Wyoming State Library will be closed Monday, November 12, in honor of Veterans Day. Veterans Day, November 11, was first established in 1919 as Armistice Day, to honor the veterans of World War I on the anniversary of that conflict’s end. Read more about the history of Veterans Day from the U.S. Department of Veterans Affairs. 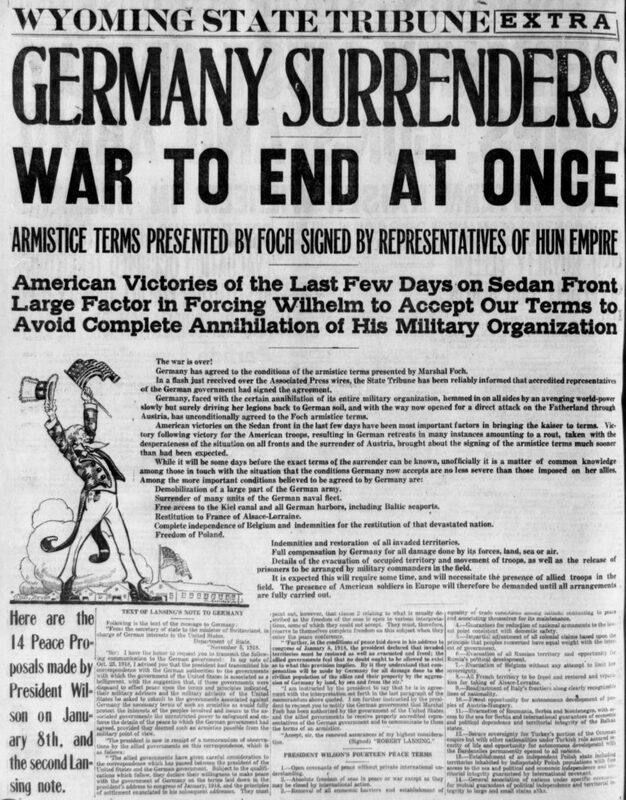 Image: The EXTRA edition of the Wyoming State Tribune on November 11, 1918. View this page full size, and read more news accounts in Wyoming Newspapers.